Batman, is like Gary Oldman, or William Fichtner, a percentage person: add him to anything and that thing will become at least 4% more awesome. 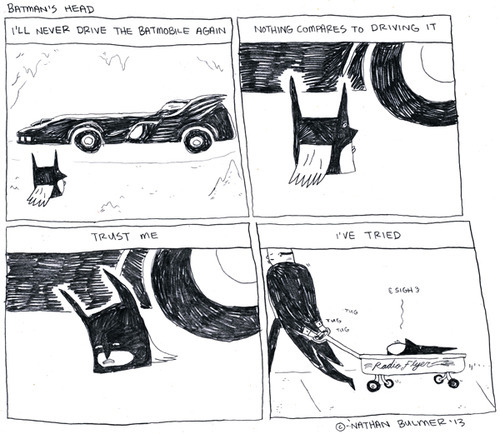 When the thing in question is pretty good to start with, like Nate Bulmer's Eat More Bikes strips, this is what you get: a body-less Batman head trying valiantly to soldier on, mini-cape attached to the back of his cowl as Alfred totes him around in a wooden wheelie cart. 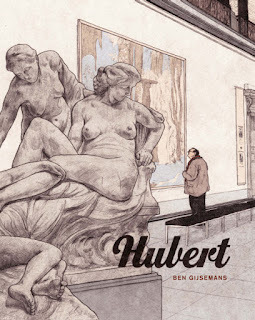 There are lots of people doing weird, starnge, often slightly gross-out humour strips, but the reason Bulmer's work so well is his singularity of vision. Taste is subjective enough and humour even more so, but he comes up with ideas that are truly original, or puts his own unique spin on things. Of course it doesn't always hit the spot, but he's on mark a good 92% of the time, getting the balance of weirdness, story and actual funny just right. 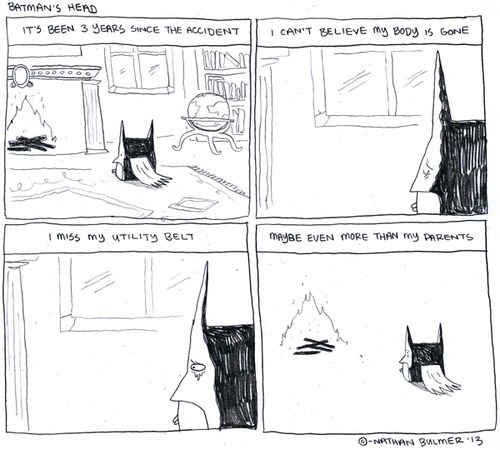 You can find the rest of the Batman head strips, and more, at Nate's tumblr.